With the first heatwave of Spring just behind us, it’s time to start thinking about fun stuff to do outside again! 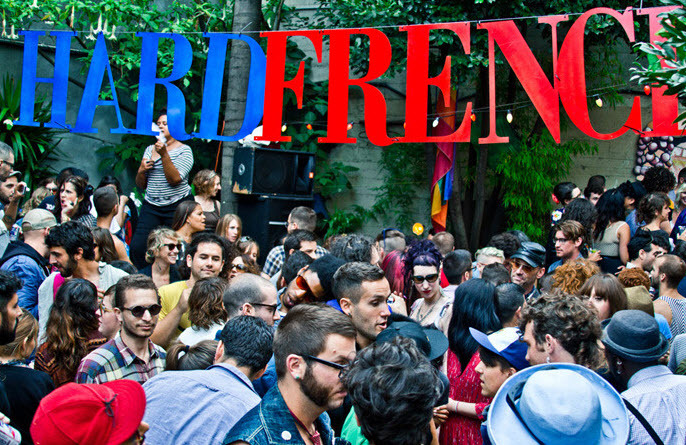 And if it happens to be the first Saturday of the month, you can’t go wrong with Hard French, the fabulous daytime dance party on the El Rio patio. Its the new SF term for Jumping the shark. Once you’ve noticed it, you’ve French kissed too hard. Thanks I was hoping this event would be taken over by Straight Folks….